Please note the Reel Connections follow the films unless noted. After you’ve seen this Oscar-nominated film, take home an art activity bag (first 50 kids) that puts the story in your hands! Roald Dahl took classic fairy tales and twisted them together to make a totally new story. You can make your own story spinners, masks, and props to endlessly re-imagine these tales in your own, revolting way. Designed by local artists Ricky Katowicz and Alison Paul and brought to you by the Downtown Providence Parks Conservancy and its summer Art in the Park program. Join students from Community Prep School, an independent middle school in South Providence, to hear their impressions about life under the Taliban. Students will present selections from their journals that explore the differences between the film and the original book. (Fireplace Room, Gilder Center for the Arts) Get Up! Stand Up! After watching the film “Compartments,” make your own memory box! Use a range of materials to create a multi-dimensional representation of your memories. We’ll ask some thought-provoking questions to get you going, then let you loose with your creativity to guide the process. Participate in a filmmaker Q&A with producer Stephanie Serra (“Christine”) and director Mario Morin (“Sacred Hair”). Before the screening of Jeffrey come for a dynamic solo hip hop performance. Nate Johnson, an 11th grade dancer from the Trinity Academy for Performing Arts (TAPA), will perform. He’ll also take questions from the audience about his experience as a young artist. 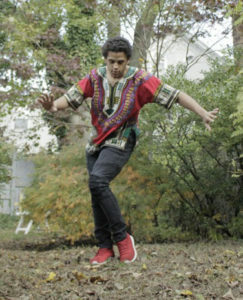 Johnson is a dance major at TAPA, where his department strives to re-center conceptual dance and contemporary art around authentic expressive movement and Afro-Latin traditions. Join Kit and her parents as she tells her story of gender transformation and discusses her impressions of the film Just Charlie. Attending youth filmmakers describe their inspiration, process and challenges in making their film during this lively filmmaker Q&A moderated by PCFF Director of Programming, Eric Bilodeau. On the heels of the short film “The Piñata King,” come create your own mini-pinata. The Piñata King might make big piñatas now, but he started small when he learned from his sister. We’ll explore what it means to make something beautiful when destruction is its destiny. Join Wheeler School middle school students for a talk about the power of storytelling. Students will present excerpts of their creative writing and probe the links between their expressive works and the film. (Providence Athenaeum) Let’s Get Animated! Participate in a filmmaker Q&A with “Paddleball Hole” director Keith Cantrell. 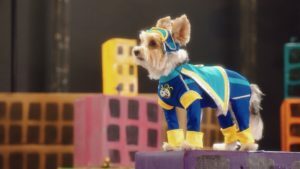 Ask your questions and meet the canine star during this filmmaker Q&A with director Raz Cunningham. Colombian natives Maria “Ceci” Cano of Colombia in Rhode Island, a Colombian cultural education group, and Javier Centeno, former professional soccer player is a Youth Development Coordinator for Central Falls School Department at Calcutt Middle School and Co-Founder of Project Goal, RI – an academic and soccer afterschool program- talk about the importance of soccer in Colombian culture. And Jeannine Chartier, Executive & Artistic Director of VSA arts Rhode Island, provides perspective on the many capabilities of people with disabilities. 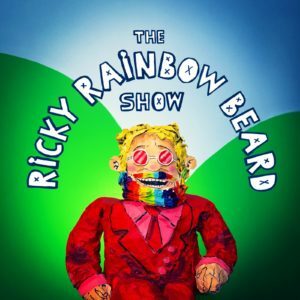 Join us for a special presentation by visual performance artist Ricky Rainbow Beard! He’ll present a mini-show Go Electric? 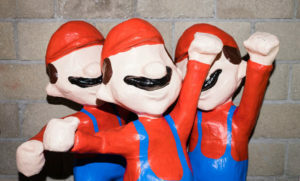 featuring special special guests, cartoons, games, singing, dancing, coloring, yelling, and eating. Ricky says, “This time we will plug things in for real.” Remember to ask why! Film director Stephanie Kemp (“F is for Friends”) will be in attendance, and after the screening she’ll field your questions about making a short film. Find out what inspired her exploration of friendship, imagination, kindness and inclusion. Can stories heal a hurt? Rhode Island-based master storyteller Len Cabral talks about the transformative power of storytelling and brings us his take on the nature of collective story writing in Liyana. 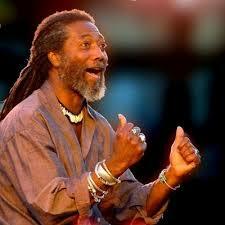 He has electrified audiences around the world with his weaving of global tales. Sydney Healey, a case manager within the refugee resettlement department at Dorcas International Institute of Rhode Island, will speak immediately after the films about the important resettlement work they do here in Rhode Island. Sydney will also be joined by Mustafa Alshawaf, originally from Syria, resettled in Providence July 2016 by Dorcas International. He will discuss his own family in flight story and how Rhode Island ended up being his destination. Aisha Manzoor from Rhode Island Council for Muslim Advancement and Sadiqa, an Afghan immigrant, will speak after the screening about the current conditions for girls and women in Afghanistan. Stay after the Oscar-nominated film and do an art project “Revolting Rhymes: Spin a Story!” with artists Ricky Katowicz and Alison Paul that puts the story in your hands. Roald Dahl took classic fairy tales and twisted them together to make a totally new story. Let’s make our own story spinners, masks, and props to endlessly re-imagine these tales in our own, revolting way. Brought to you by the Downtown Providence Parks Conservancy. This short film collection was curated in partnership with the RISD Museum teen program, RISD Art Circle (RAC). Following screening, RAC teens will facilitate a Q&A with attending youth filmmakers. 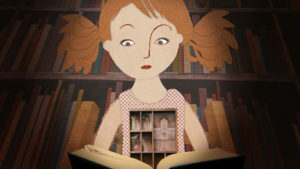 A Reel Connection to READING! Check out these Film to Book recommendations from Providence Community Library librarians.